August is an exciting and busy month for us on the Mendocino Coast and beyond. We have lots of adventures planned to share our passion for kayaking and the natural world. In Fort Bragg, we are continuing to make improvements to our Dolphin Isle Location. 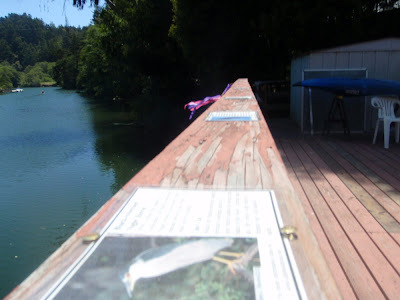 Check out my wildlife fact photo cards on the deck. We have some exciting custom adventures planned this month. Saturday, we had an all day coastal exploration of the Fort Bragg Coastline. 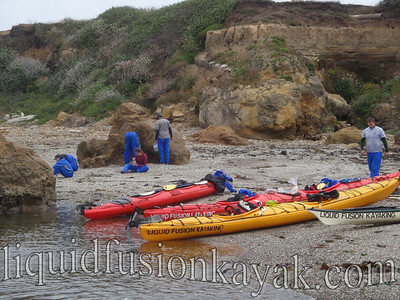 The group explored sea caves in tandem sea kayaks and meandered among the rocky channels leading up to Glass Beach. Of course a lunch break at Glass Beach was in store with beachcombing for shells and sea glass. We are also excited about guiding a special wet and wild kayaking birthday celebration for some friends in Caspar. 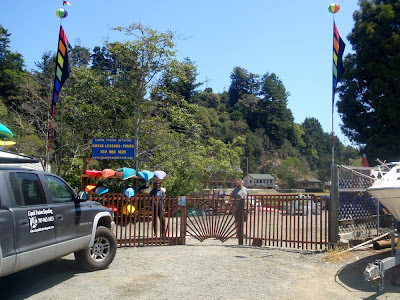 Beyond the Mendocino Coast, we are preparing to present at the Bay Area Sea Kayakers' August general meeting, and Jeff is preparing for a week of kayaking instruction and fun at the Lower Columbia Kayak Round-up. As we get our ducks in a row for a busy month, our mother ducks on the Noyo River continue to line up their little ones. 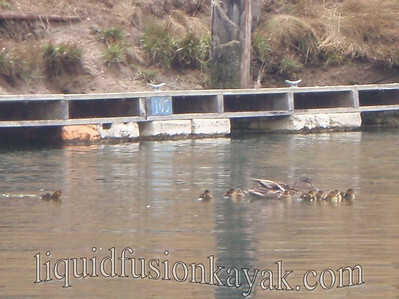 The number of ducklings on the Noyo River has been amazing this year with many late hatchlings. Today we saw another brand new set of mallard ducklings. They are sooo fuzzy and cute. It is neat to see them in all stages of their development. This is the proud new mamma getting all of her little ducks in a row. 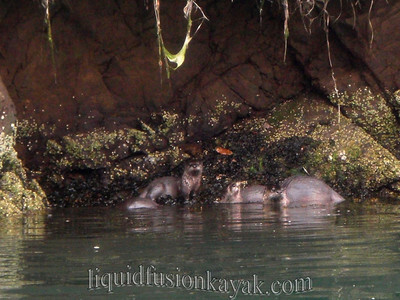 In my last blog, I mentioned the shyness of our river otters. Ha! - they beg to differ with that comment and have been quite present lately. The kits have been playing around quite a bit - but definitely not in a row. I actually got a few photos of them. I just wanted to pass along some information to paddlers everywhere. 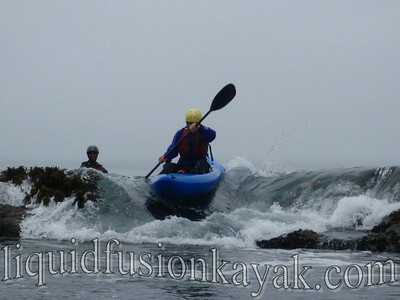 NOAA has recently proposed to close the west side of San Juan Island to kayakers. If you are not familiar with San Juan Island the one place that commercial and public kayakers can safely launch in in the middle of the proposed closure zone. NOAA is using science that is inconclusive to pass regulations that will have a huge effect on our local economy and for all paddlers who desire the freedom to paddle the beautiful shoreline. Pleas visit and follow the links to NOAAs proposal and to email address there to make a public comment. Please help keep our shoreline open. Thanks for the heads up!!! The MLPA in California is of significant concern to us as well.